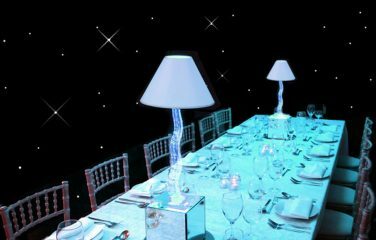 The Spandex cloth disperses the light beautifully to create an opulent glow, making this table perfect for evening or winter-time dining events. 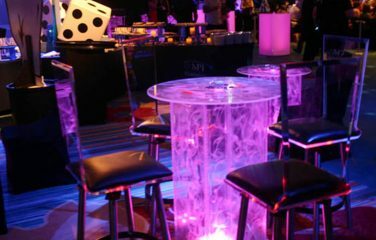 This stunning table is illuminated from beneath with our wireless state-of-the-art LED lights. 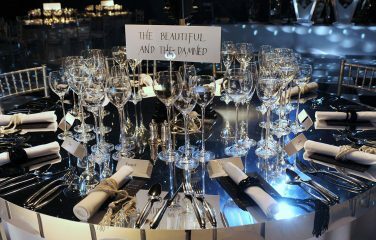 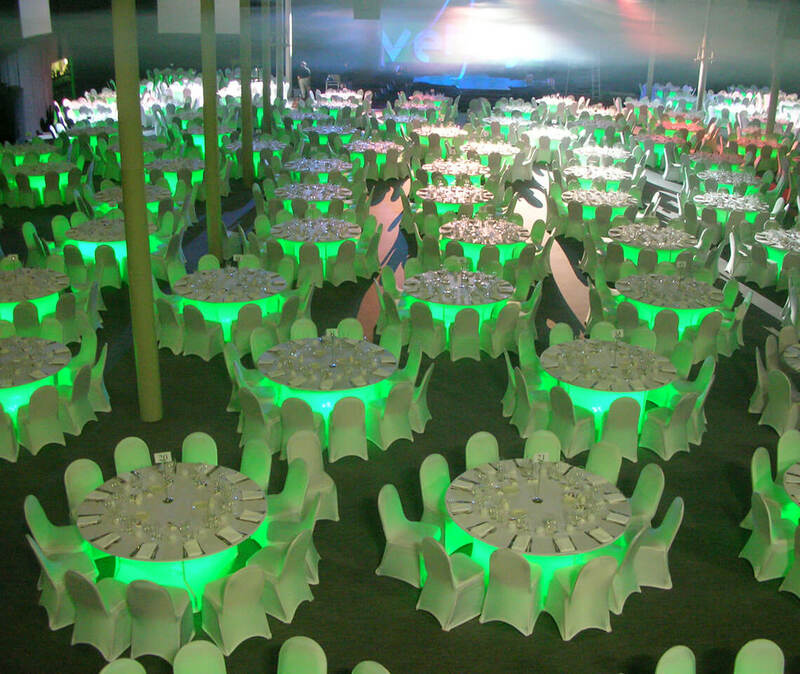 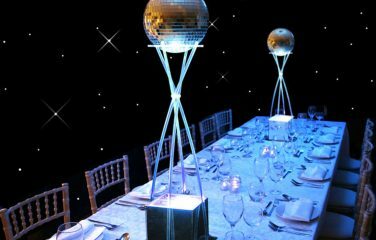 The end result is an elegant looking table that will be quite the spectacle at any event! 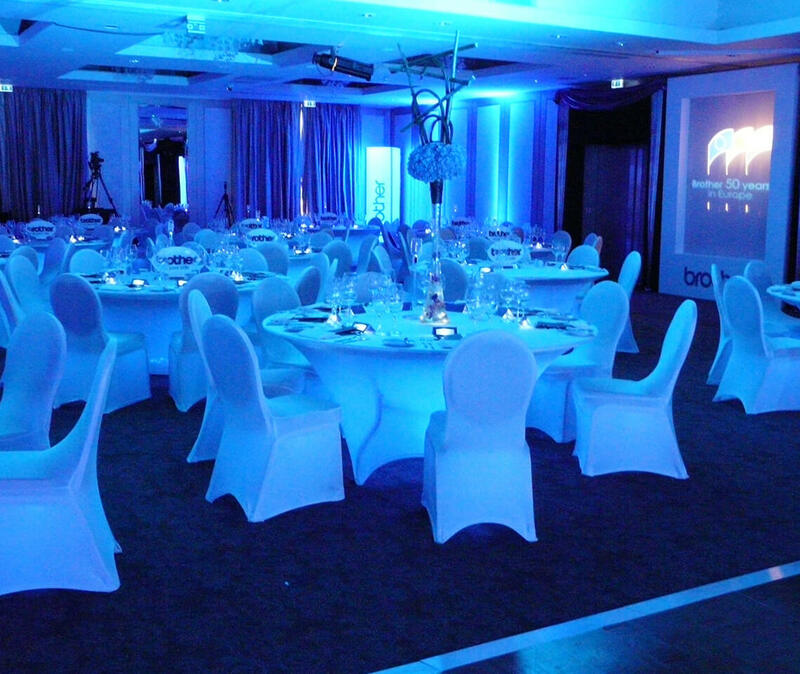 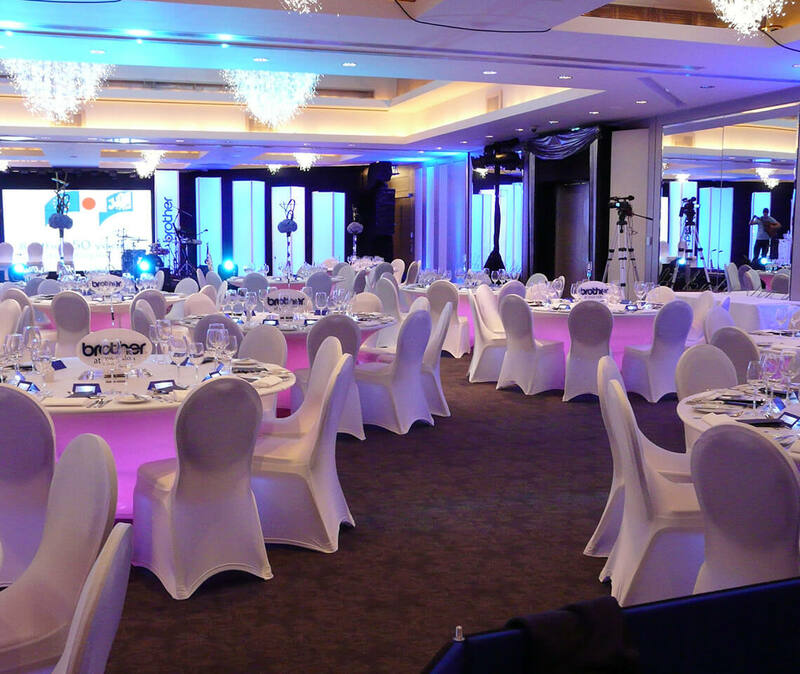 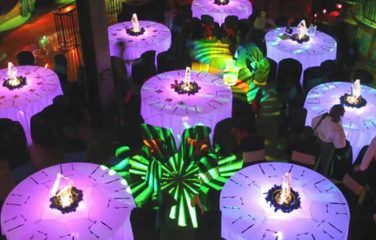 The tables can be wirelessly DMX controlled via a lighting desk. 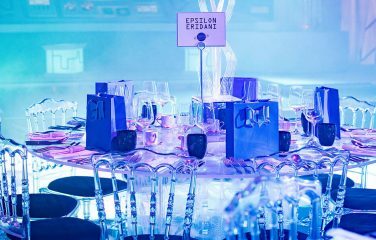 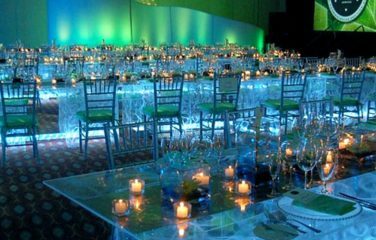 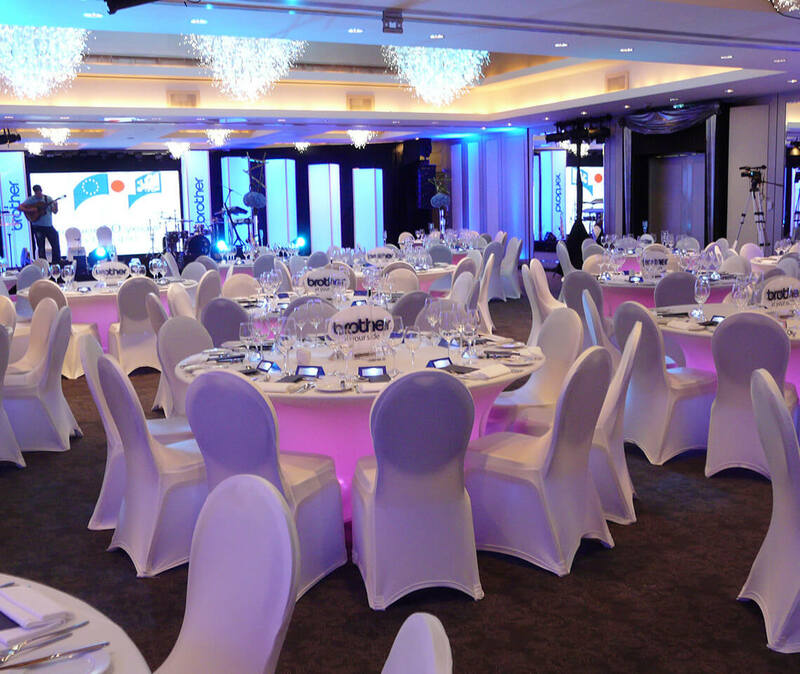 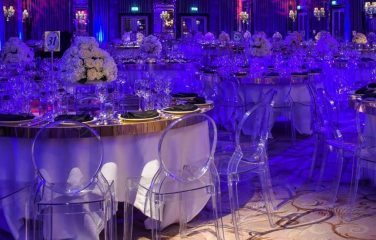 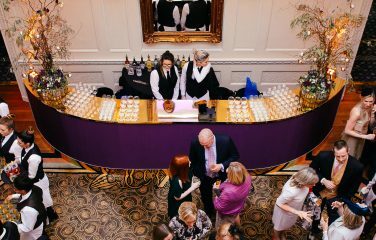 Address all the tables to the same channel, or address each table individually to give your lighting technician or AV team full control over the lighting effects. 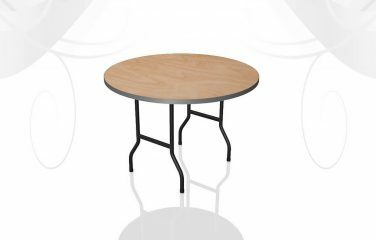 Please see ‘Dimensions’ tab for available table sizes.